The above offer is available only in some of the best CT scan centres in bangalore. And for hardcopy films, there might be some extra charges which varies on each center. Usually abdominal ct scan costs in bangalore for about Rs.8000 – Rs.15,000. Before choosing the CT scan centers in bangalore , Have a look into the below facts which might give you some better understanding about CT abdomen and pelvis scans. What is a CT Abdominal & Pelvis Scan? 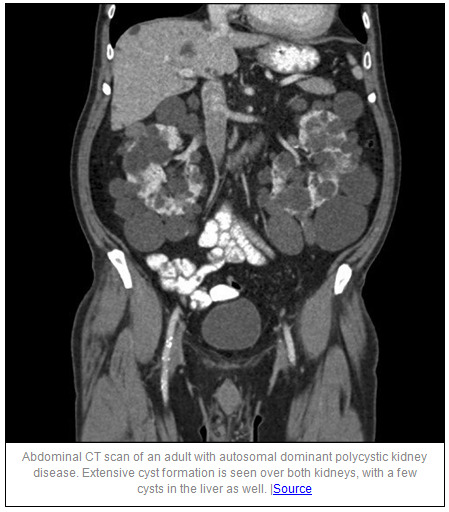 CT Scan of the abdomen and pelvis produces images of digestive organs, urinary, endocrine and reproductive organs. CT abdomen and pelvis scans are usually done to diagnose the abscesses, kidney stones, infections, tumours and unexplainable severe abdomen pains. CT abdomen and pelvis scan helps to assist physicians on tumor treatments, biopsies, organ transplants and chemotherapy stage wise assessment. Patients with symptoms such as unexplained abdominal pains/fever/weight loss, urinary problems, bowel changes, trauma in spleen, liver and kidneys are mostly commonly advised to undergo CT abdomen and pelvis scans. 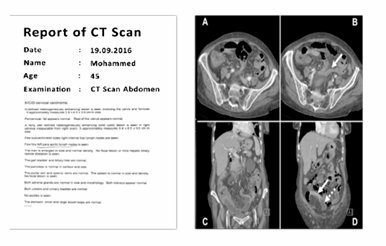 How to Prepare for Abdominal & Pelvis CT Scans? Usually patients are advised to leave their valuable jewels at home as you are not allowed to wear any ornaments during the scan period. Wear comfortable clothing and some centres provide you the hospital gown, which should be worn during the scan procedure. Also, female patients need to remove their inner wears which has metal straps. These metal objects interferes the x-ray radiation and the quality of imaging produced by the machines will remain blurred in some areas. If you are undergoing CT abdomen and pelvis scans with contrast, you will be advised to have an empty stomach before the scan procedure which will be explained to you during the appointment and consultation. Once you have reached the scan center, radiology technologist/nurse asks you a few questions about your past medical history. Patients with medical history, such as heart disease, diabetes, kidney diseases, thyroid problems and asthma should take necessary medications before the scan procedure. Pregnant women should inform the physicians and radiologists before the CT abdomen/pelvis scans as it may cause some problems to the unborn fetus. If you have any allergies, notify them before the procedure. 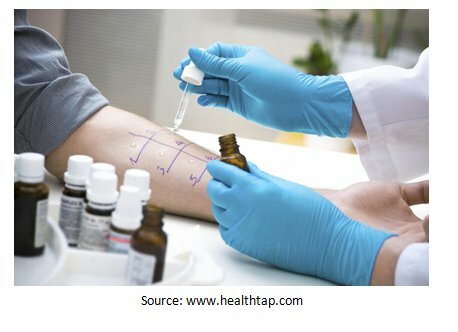 In case when you are allergic then specialists may give you special medications to overcome the same. During contrast CT scans, the contrast materials will be given to you as a meal and sometimes through an IV. The contrast material will give you some metallic taste in mouth but nothing to worry it won’t last long. You will also experience a warm sensation throughout the body once the contrast material spreads in the body. If you feel any itching, sneezing, scratchy throat or swelling in the face you have to immediately inform to the radiologists where they can provide you necessary medications. Sometimes, you will be instructed by the radiologists to hold breath for a few seconds. The procedure usually takes 15-30 minutes based on the diagnostic requirements. After the scan procedure, you may eat as usual. In case if you received the contrast dye, then drink plenty of liquid food which helps to flush out the dye immediately from your body. If the imaging is not clear, you might be advised to stay for a few minutes to re-diagnose which happens very rarely. After the study of the CT scans images, a radiologist interprets and prepares the scan report within 24-48 hours, which differs on each CT scan centres where few scan centres give you the CT scan reports by the same day itself. How the CT Abdominal & Pelvis scan is performed? CT scanner is a kind of large box with a hole or tunnel in it. You have to lie narrow in a table which slides in and out of the tunnel during the scan procedure. The technologist will position you in the table and even uses pillows and traps to adjust the required position for imaging. Technologists advices you to reduce the motion of your body, as it blurs and degrade the quality of the image during the scan. Usually sedation is not used, but in rare cases, children who don’t hold in there for a long-time will be given certain drugs by checking their health. When CT abdomen and pelvis scans with contrast are performed, the contrast material is given to the patient by IV or as a swallowable meal. Now the table starts to slide inside the scanner and the technologist in the other room will determine the correct position to start the scans. Sometimes you will be asked to hold the breath in order to avoid the blurring effect during imaging. After the scan procedure, you have to wait for few minutes in order to identify whether the generated images are in good quality to prepare the reports and rarely if it found not clear, then you will be requested to do undergo the same procedure again. Before and after contrast material drink/IV, you will be advised to adjust your food/water intake accordingly by the physician. In the entire CT scan procedure, you will not experience any discomfort apart from a simple prick pain during the IV for contrast material injection and its warm taste which lasts only for few seconds. You will be alone in the CT scanner room once the technologist positions you in the table. For pediatric patients, parents will be allowed to stay with them with a special suite to protect from the CT scan radiations. There will be an intercom where you can be communicated with the radiology staffs. For faster treatments without any additional diagnostic procedures, CT abdominal and pelvic scans diagnose accurately the root cause of any pain and injuries. When there is a pain in the abdomen and pelvis area, the speed of CT scans are usually helpful to prevent the risk of serious issues such as burst appendix and spread of infection to other organs due to the infected fluid collections. Within a single diagnosis, CT scans are able to scan the soft tissues, blood vessels and the bones at the same time. As compared to MRI scans, CT scans are less sensitive to patient movements. To save lives on accidents and severe injuries, CT scans are quite effective on revealing the internal bleeding and the impact of the injury which helps for faster treatments. There is a fear for many patients after going through different articles about the CT scan radiation which causes cancer. But it’s not entirely true, only in very rare cases it happened in past years and most of the new scanners used by CT scan centres in bangalore emit very low radiation. Radiologists are well equipped to deal with the allergies towards the contrast material. Patients are properly diagnosed before the scan procedure to identify their capability on accepting the contrast material dosages. There are special medications available even if the patient is not eligible directly to undergo CT abdominal and pelvic scans due to their previous medical history. In general, CT scanners are not usually recommended for the pregnant women as the radiations might affect the fetus. There are alternative radiations less scan procedures like ultrasound will be used for the pregnant women who are not qualified to undergo CT scans. PET-CT scan (Positron Emission Tomography-Computed Tomography) is the advanced scanner machine where it is mostly used for cancer detection and during chemotherapy to observe the internal structures. It consists of two scanners attached in single machine where one is the PET scanner and the other one is the traditional CT scanner. During PET-CT scan procedure, a radioactive substance like F-18, FDG or oxygen-15 is injected into the body and will be absorbed by the internal organs. Once the internal organs absorbed the radioactive material, it starts emitting gamma rays which will be captured by the PET-CT scanner where the movement of the organs will be accurately noted and the imaging will be done with the traditional CT Scanners. The increased contrast is quite helpful for accurate diagnosis as well as more detailed which made PET-CT scan more popular in a shorter period of time. The scan procedure might take more time as compared to CT scanner. The PET CT scans help the physician to distinguish between the dead and living tissue (or) malign/benign disorders. PET CT scans shows extend of a particular disease better than traditional X-rays, ultrasound, CT and MRI scans. Pregnant or breastfeeding women are usually not allowed to PET CT scans due to the usage of radioactive substance. There are alternative diagnostic methods for such pregnant women. In special cases, alternate medications will be provided to the patients before undergoing PET CT scans. The major advantages of PET CT scans are detecting cancer, the cancer spread in the body, determining the cancer is returned after the treatment, effects on the area of heart after an attack or infection, identifying the heart muscle areas before a bypass surgery or angioplasty, evaluation of brain abnormalities such as tumors, memory disorders, central nervous system disorders, blood flow in the heart muscles and identifying Alzheimer’s disease. But kindly note that, PET-CT (or) CT whichever the scan, it should be prescribed by your physician. No any scan centers in Bangalore will do scans for you unless you have a proper doctor prescription. Because the physician only knows which scan procedure will be good for your health and for treatment analysis. PET-CT scans are usually costlier than CT scans. How to find the best center for CT Abdomen/Pelvis scans? All the Diagnostic Scan centres should be accredited by AERB (Atomic Energy Regulatory Board), where the board conducts frequent audits and inspections over the diagnostic scan machines used by them. The CT scan centres in Bangalore will provide the specifications of their scan machines and quality assurance to the AERB periodically. Finding the best CT scan centre of the abdomen and pelvis scans in Bangalore is quite difficult because of the varied pricing scheme of scan centers. 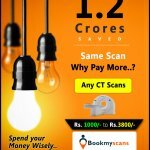 But, online scan booking portals like bookmyscans.com comes handy to everyone where they can compare the scan prices of each scan center as well as the scan machines used by them. You will get a control over choosing the best CT scan centers in Bangalore by your own in terms of quality, nearby location and pricing. Once you have started searching over the website by providing your locality and the type of scan you undergo, bookmyscans.com displays the best scan centres near you with the distance from your current location, pricing of such scans, about the diagnostic centres with the machine images, scan equipment details and helps you in identifying the best center for CT Abdomen and pelvis scans more easier than ever. Online scan booking system comes up with varied benefits where it ultimately helps you in saving time and without making you to wait in the diagnostic scan centres for fixing appointments as well as for getting your scan reports after your scan procedure. Due to the increased patient population, CT scan centers in Bangalore are not enough to tackle the patient’s needs. You have to wait for long hours in order to fix an appointment and even your scan appointment date will not be in your choice. Based on the first-in first-out traditional queue system, you have to choose the available dates given by the scan centers instead of choosing by your own. 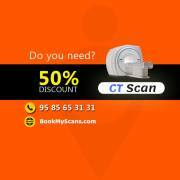 Some ct scan centers in bangalore are really cheaper in pricing with high quality in diagnosis. But, the patients crowd are really heavy on those scan centers. Online scan booking systems can help to cut those long queues and thereby enables patients to choose their desired scan center and fixing appointments by their choice. After the diagnosis from your desired scan center, you don’t need to wait long time for getting your scan reports. Online diagnostic scan booking portals like bookmyscans.com can help patients to receive their diagnostic scan reports via emails. You can begin your treatments from the next day of the scan procedure. Another important advantage while booking scans online is that you can save Upto 72% from the traditional ct abdomen cost in bangalore.